What’s the role of Miltenyi Biotec in immuno-oncology research? 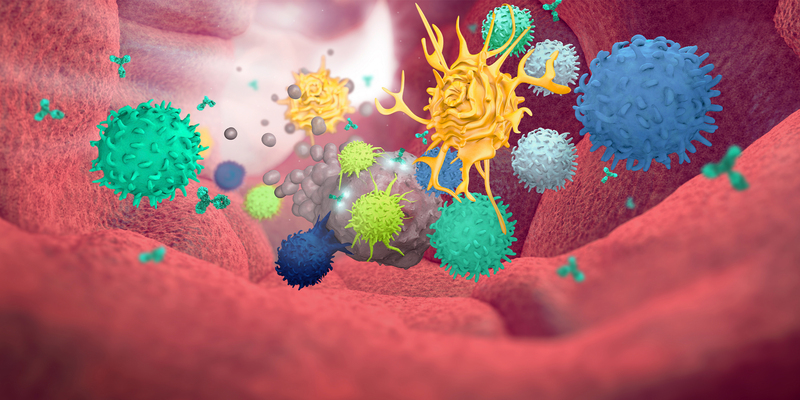 Immuno-oncology research focuses on innovative approaches that exploit the immune system for cancer therapy by targeting cellular or molecular structures to prevent tumor immune evasion. As an innovative biotechnology company, we at Miltenyi Biotec offer cutting-edge technologies and high-quality products to support your immuno-oncology research. 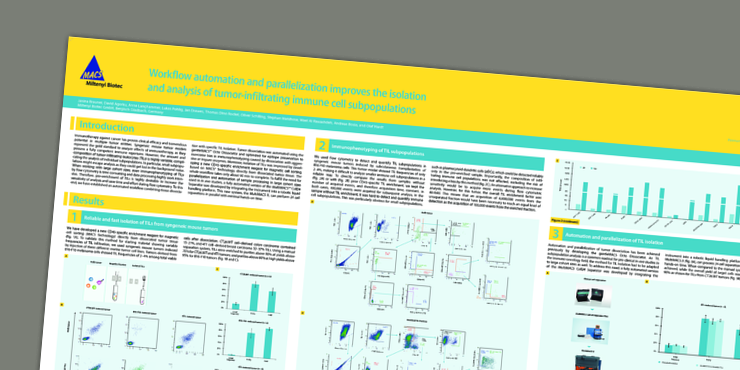 Whether you are interested in studying immune cells or cancer cells from the tumor microenvironment, or cellular models for the validation of novel immunotherapeutic agents – check out our application pages for the respective cell types (engineered T cells for research, monocytes and Mo-DCs, NK cells, tumor-infiltrating leukocytes (TILs)) to find relevant application data and protocols based on our immuno-oncology products. For example, download our scientific poster on the right, to learn about our automated TIL isolation and analysis workflow. Moreover, we offer clinical-scale immuno-oncology products for an easy transition of your research workflows into the clinic (engineered T cells, dendritic cells for immunotherapy, regulatory T cells for immunotherapy, T cell depletion in graft engineering). 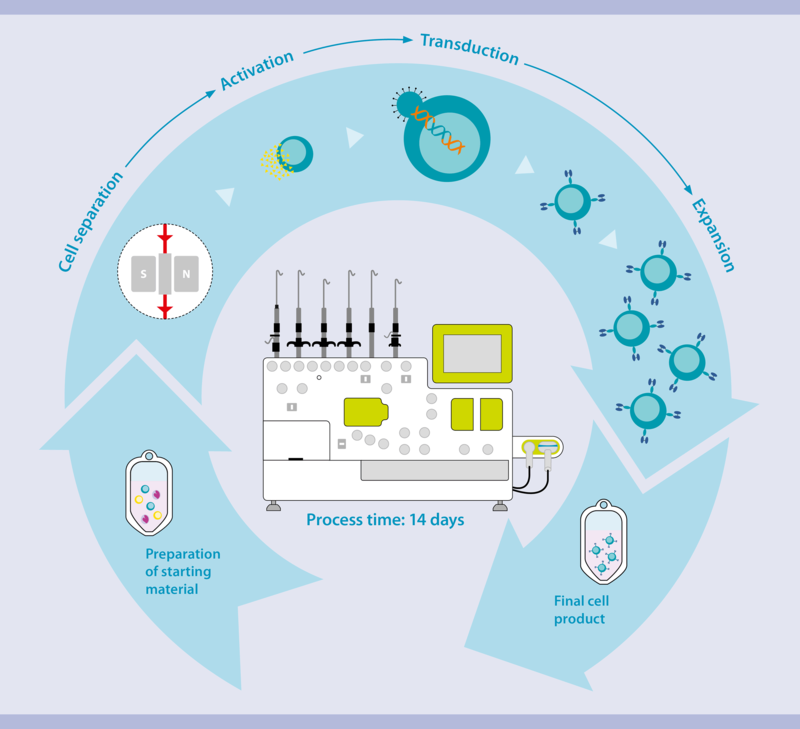 Do you, for example, know our T cell transduction process depicted in the figure below? So, what’s your immuno-oncology research story? Are you new to the immuno-oncology field or an experienced researcher, ready to tell your success story? Check out our immuno-oncology activities to find relevant webinars, talks, meetings, or the opportunity to win a travel award to selected meetings and the chance to share your research insights with the scientific community.